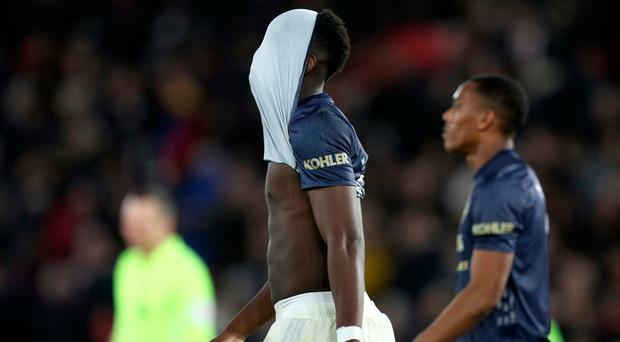 Manchester United's Paul Pogba leaves the pitch with his shirt over his head. Manchester United managed just one shot on target in the second half as they were held 2-2 by struggling Southampton at St Mary's. United's recovery from 2-0 down in the first period failed to spark a turnaround as Mourinho's men dropped more Premier League points. Stuart Armstrong and Cedric Soares had the hosts 2-0 up on 20 minutes but Romelu Lukaku and Ander Herrera struck a swift double-salvo of their own to level to scores by the break. Southampton have yet to win a Premier League game at home this season. 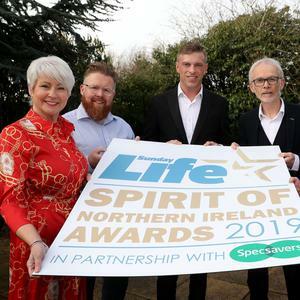 Northern Ireland captain Steven Davis came on only as a 92nd minute substitute. Armstrong drilled his third goal in two games to give Saints a surprise lead, before Soares curled home a stunning free-kick.